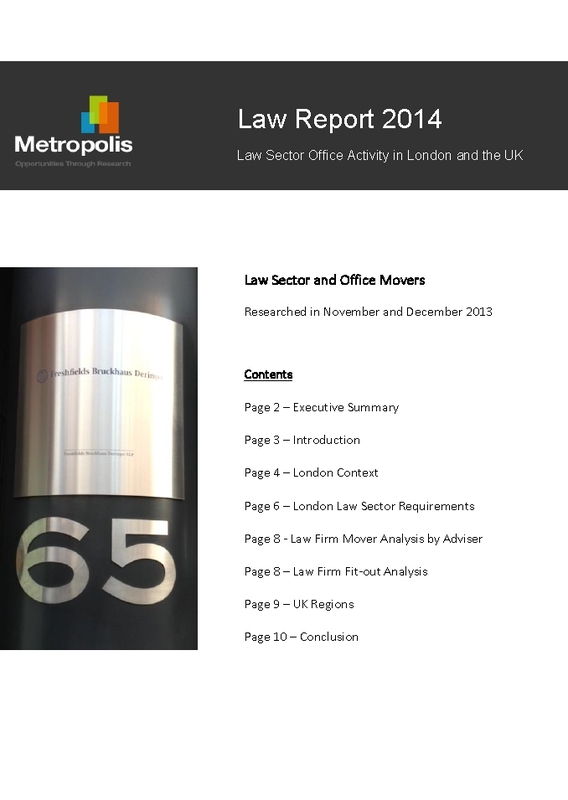 Metropolis has just published its latest report on law sector activity in London and the UK. The 10 page report looks at law sector office activity trends, requirements, letting deals and fit-out analysis. It was compiled by our research team using Metropolis lead data. The report also features our top 10 list of law firm property advisors, law firm interior architects and law firm fit-out contractors. Please contact simon@metroinfo.co.uk if you would like further details on the report.